YES, THERE IS A MARINE CORPS LEAGUE HERE ON THE OUTER BANKS! Many Marines on the Outer Banks that have asked if there was a local Marine Corps League detachment that they could join. 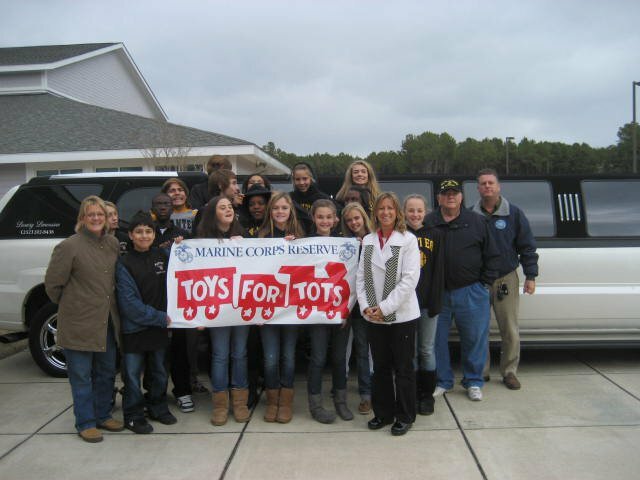 The Outer Banks Detachment was formed and chartered in 2006 and is fully staffed with Marines like yourself who are interested in camaraderie, helping their fellow Marines, Marine widows, the Toys for Tots Foundation, and service to our community. We welcome you and encourage you to join our ranks and serve to make our community a better place to live. Those interested in becoming a member of the Marine Corps League Outer Banks Detachment are invited to take action TODAY by reviewing the membership information and completing and mailing the membership application. Those with a sincere interest in our Detachment and its activities that have no Marine Corps service are also welcome to apply for membership as an Associate Member. 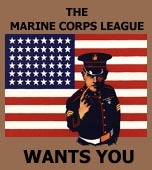 The Marine Corps League Outer Banks Detachment is looking forward to having you aboard as a member. Semper Fidelis! Our meetings are held the second Tuesday of each month from 1900 to 2000 at the Kern P. Pitts Center in Southern Shores. On January 30, 2018 we installed our new officers at our monthly meeting. Their term of office will run until mid-January 2020. We are always looking for a few good men and women interested in joining our ranks as either a regular or associate member. Visit our calendar for an up to date listing of meetings, social and service events, and much more. Take a few minutes to lean about our Detachment's National and Marine Corps Colors. We extend our thanks to all of our friends who have supported us in our efforts over the years. "Even after our Marines have retired from keeping our country safe, they are still out there working for us...."
Help us to help our veterans and community by donating or volunteering today. Our site provides an extensive listing of Marine Corps, Marine Corps League and veterans resources for your use. Do you have a question or are in need of more information? Please feel free to contact us by phone, mail or e-mail. The detachment is now on Facebook, so come and join us to learn what your fellow Marines are doing. The detachment has earned the Department Meritorious Unit Commendation with one bronze star in lieu of a second award. We are proud to announce that we are now rated by GuideStar as a Platinum level participant.